Wedding, Birthday, Engagement Party, Corporate Events, Dinner Dance Party, Leaving Party, Private Party, Family Party your child birthday or you just want to have party with no occasion – have a party that everyone will talk about how great it was. Every wedding is unique in its own little way. 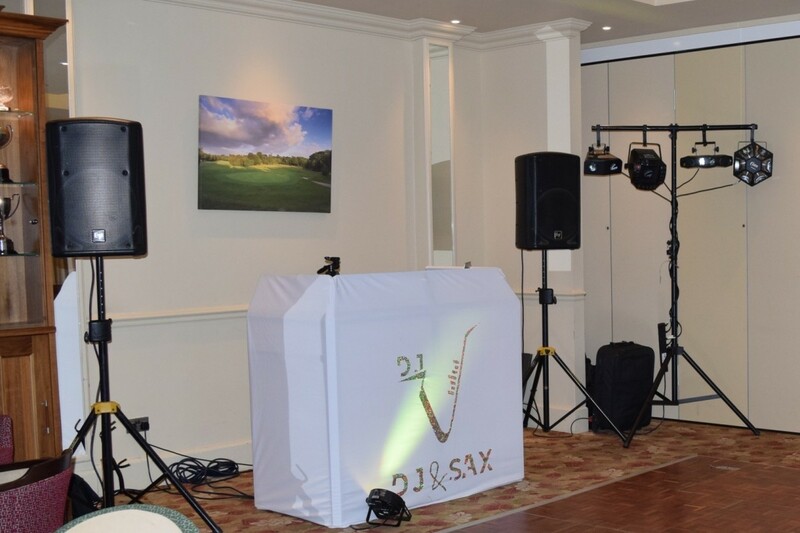 For the most important day of your life, trust DJ V to provide you with the very best entertainment to make your day one to cherish for years to come for you and your guests. Unlike other parties, clubs or discos, people attending your wedding is a mix-up of different guests with friends and family of all ages. It is a challenging to get the party going, and to suit every guest’s taste and requires a high level of musical skill and knowledge of the DJ. From the moment you book DJ V, you know our experience will make you ... r wedding a successful event. When it comes to wedding music & entertainment, wish list being is a key component for a successful wedding. DJ V guarantees your special day is fabulous & makes a lasting impression on you & your guests. Play list is the beginning, DJ V will ensure the right background music, moderation, dance music, party hits, current charts or oldies, and also your individual music program according to your taste. When time comes to welcome your guests to the reception or to mellow the mood DJ V’s saxophone playing along to some background will indulge your senses. When the party is in full swing, you may require a DJ to finish the night off or band, we have a number of tailored packages to suit every requirement and add a professional and personal touch. Before you say I DO, say I DO to one of the packages that fits your taste. Vlatko Ivanov, a.k.a. DJ V is born in Macedonia. Music runs through his blood, since he began playing piano as7 year old. After attending Musical Primary School, specializing his piano playing, he continued his musical upgrading at the Music School of Stip, Macedonia. As a 15 year old boy, while taking the piano lessons he discovered saxophone. It was love at first sigh. In 2004 he graduated as a Saxophone Performer at Ss.”Kiril&Metodius” University of Skopje – Macedonia. Then in 2009 he completed his Master’s Degree of Saxophone playing, at the same University. He experience in the ed ... ucational system of Macedonia as a Qualified Music teacher. As soon as he moved in UK in June 2014, he begun working as a Peripatetic Saxophone teacher at Holyport College. Since 2016 he is working as Woodwind teacher at Berkshire Maestros teaching Saxophone, Flute, Clarinet and Recorder. And working as a Saxophone Teacher at Windsor Music Academy – Windsor Piano School.